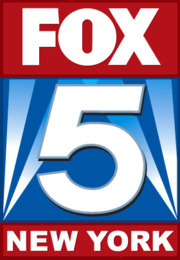 WNYW, channel 5, is the flagship television station of the Fox Broadcasting Company, located in New York City. A morning show featuring local news, weather and traffic, as well as entertainment reports, cooking segments and interviews. A morning show featuring local news, weather and traffic. Sen. Ben Cardin (D-Md. ); Donald Trump campaign manager Kellyanne Conway. Panelists include Charles Hurt (Washington Times), Michael Needham (Heritage Action for America), Julie Pace (Associated Press) and political analyst Juan Williams. Shannon Bream is the guest host. Weekly report on events with interest for teens, including headline news, entertainment, medical advice, drinking and driving, books and Internet safety. A newsmagazine focusing on a variety of topics, including politics, entertainment and local news.